I also have 2.5 years working experience at the South African National Biodiversity Institute (Cape Town, South Africa) and SRK Consulting (Cape Town, South Africa). 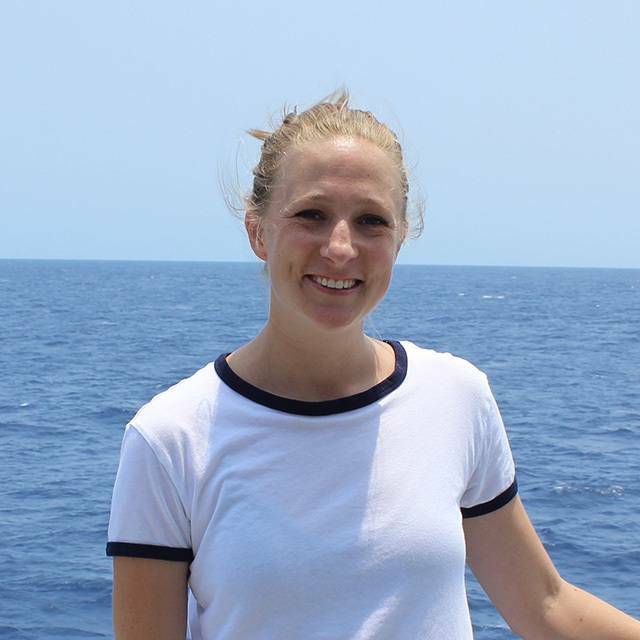 My research interests include deep-sea benthic ecology, human activities in the deep sea, marine conservation and sustainable management (particularly in areas beyond national jurisdiction) and marine spatial planning. My PhD is studying the application of predictive modelling to marine spatial planning associated with deep-sea mining. This research is focussed on polymetallic nodules in particular, with my study site in the nodule-rich area of the Pacific Ocean called the Clarion-Clipperton Fracture Zone (CCFZ). I am creating broad- and fine-scale models to classify the physical habitat of the area, and validating these using existing data sets of biological samples collected across the region. Model validation is an extremely important step in determining whether our models and maps are biologically meaningful, and therefore useful for management purposes. I will also compare the accuracy of bottom-up and top-down approaches to predictive modelling, and investigate the accuracy of models transposed to new areas. This work will address several key questions in the spatial management of deep-sea mining. My supervisory team consists of Dr Kerry Howell (Marine Biology and Ecology Research Centre, Plymouth University), Prof Martin Attrill (Marine Institute, Plymouth University), Dr Adrian Glover (Deep-Sea Systematics and Ecology Research Group, Natural History Museum), and Prof Craig Smith (Department of Oceanography, University of Hawai’i at Manoa). I am also part of the Deep Sea Conversation Research Unit, based at Plymouth University. See www.deepseaCRU.org for more information on the research carried out by this group. My research is funded by UK Seabed Resources Ltd as part of the International Seabed Authority’s training programme for capacity building in developing nations ( https://www.isa.org.jm/training-programme ). McQuaid KA,Griffiths CL. 2014. Alien reef-building polychaete drives long-term changes in invertebrate biomass and diversity in a small, urban estuary. Estuarine, Coastal and Shelf Science doi: 10.1016/j.ecss.2013.12.016. Cole VJ, McQuaid KA, McQuaid CD. 2012. Examination of small- and large-scale influences on the diet of an omnivorous polychaete indicates weak effects of upwelling. Journal of Experimental Marine Biology and Ecology 436-437: 28-35.